I was inspired to do something different with my Easter decorations this year. 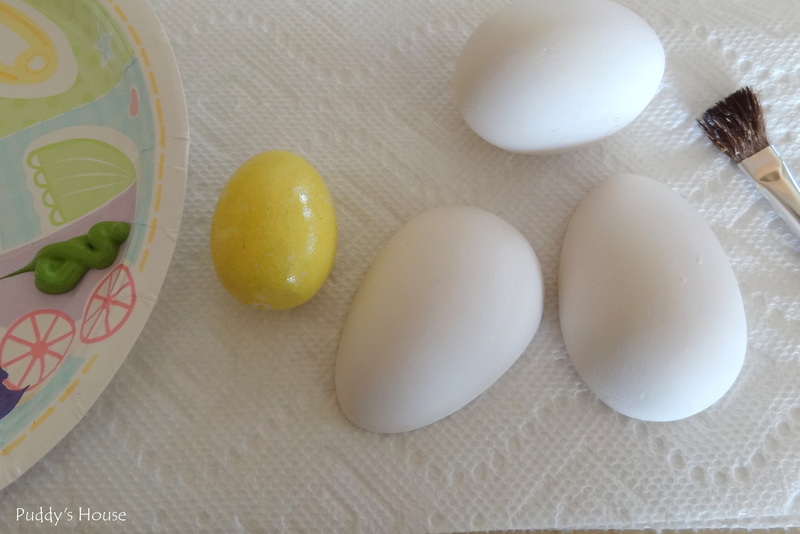 I didn’t want to use only the plastic eggs like last year. 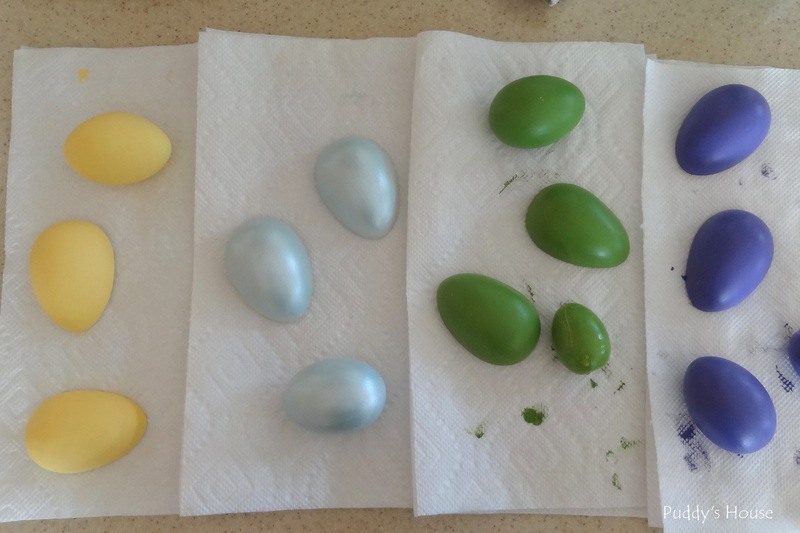 I had found some ceramic eggs at the thrift shop for 50 cents – there were 4 whole eggs and 4 eggs that were split in halves, all unpainted. So, I started with them and some acrylic craft paint. I also had some wooden eggs I found for 25 cents at the same thrift shop. There were too many yellow ones, so I painted some of them too. 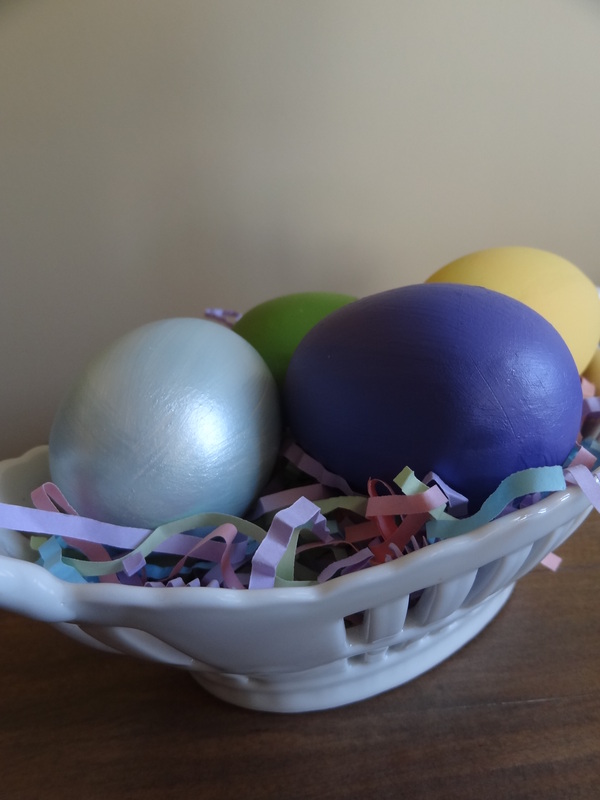 I had yellow paint in my supplies, but no other Easter colors, so I had to buy a few new colors. The selection was slim at Jo-Ann Fabrics and I didn’t want to go to any other stores, so I ended up with green, purple and a pearly blue. Now, those plastic eggs. I’ve seen jute wrapped, clothesline wrapped, and decoupaged done by other bloggers, but I wasn’t sure what I planned to do. 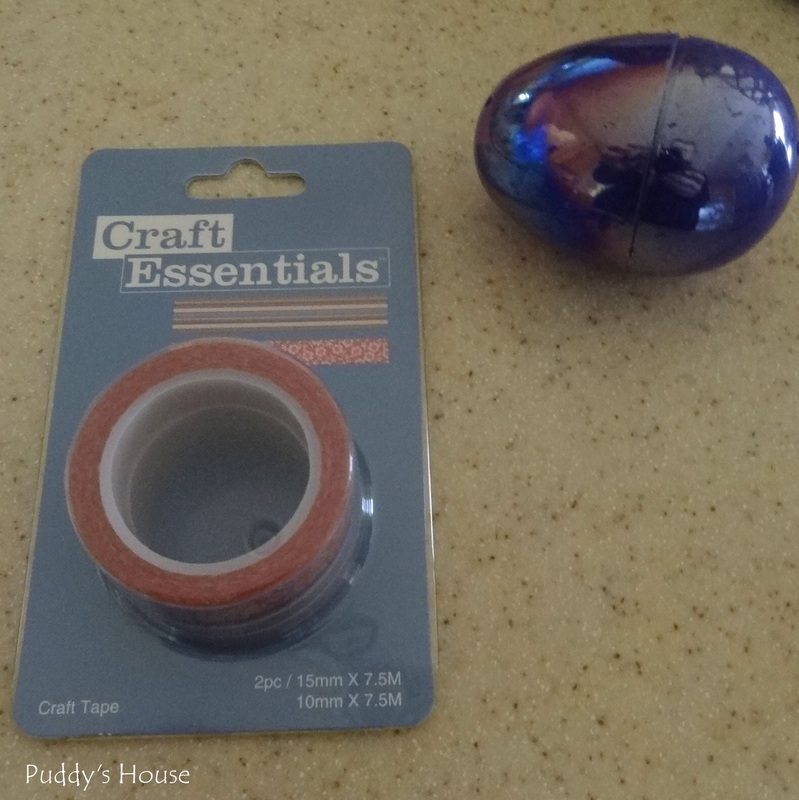 While I was at Jo-Ann Fabric, I found some washi tape on sale for $1.79, and it was in spring colors, so I bought it. Surprisingly, I had never bought washi tape before!! It’s all over blogs with many uses, but I had never had a reason to use it. I actually bought it thinking I was just going to use it to make stripes, and then pull it off after I painted. 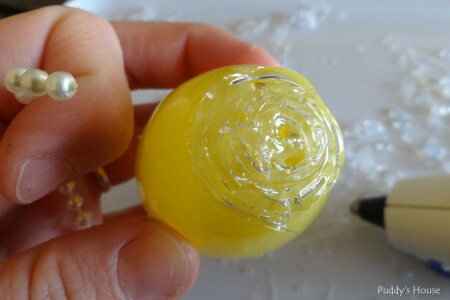 But, when I started to put it on the egg, I decided I liked the look and just kept covering it in random strips. 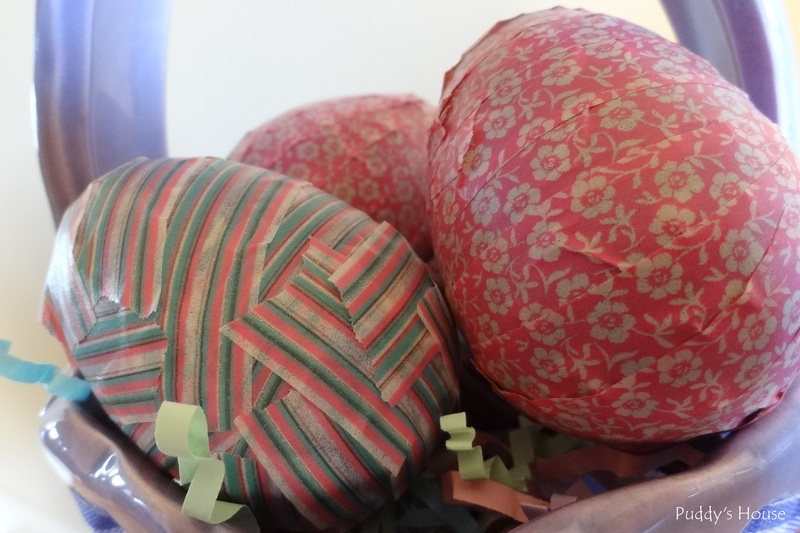 I ended up with four washi-taped cover eggs that look cute. 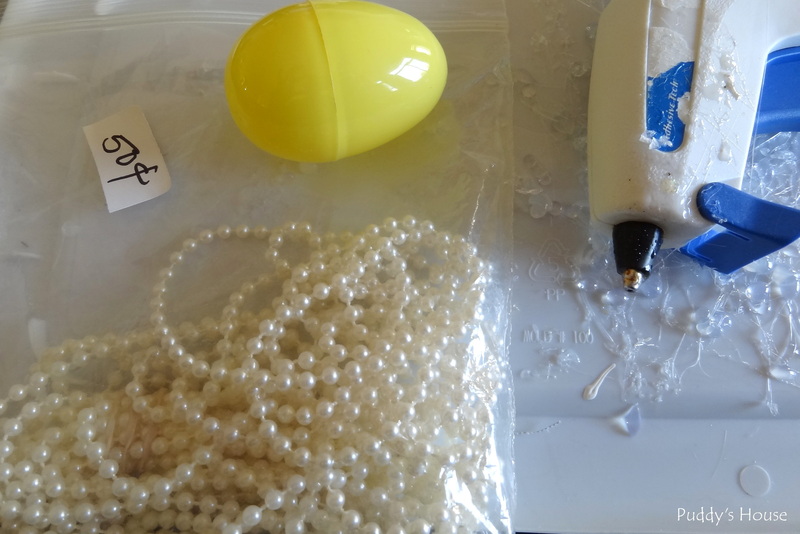 I had one more idea for the plastic eggs. I had some beading, the same stuff I used at Christmas. 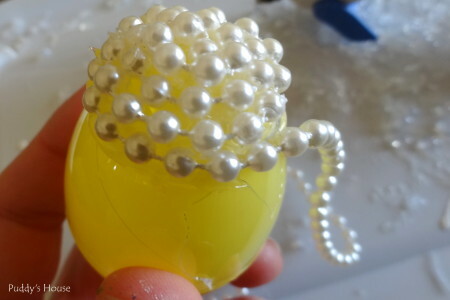 All I used was the plastic eggs, beading and hot glue. I had white and blue beading. My biggest fear with this craft was burnt fingers, so I tried to avoid touching the glue as much as possible. I just put the glue right on the egg. 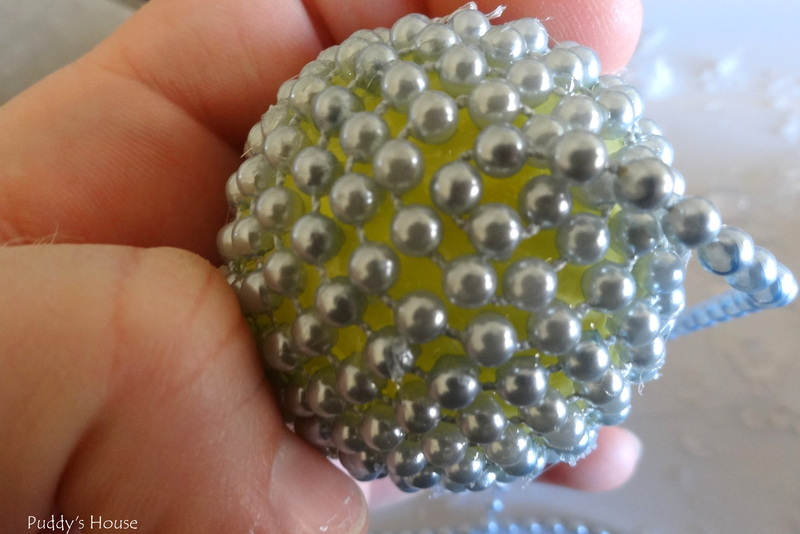 And, then I started wrapping the beading. It went easier than I expected because the beading is so firm. 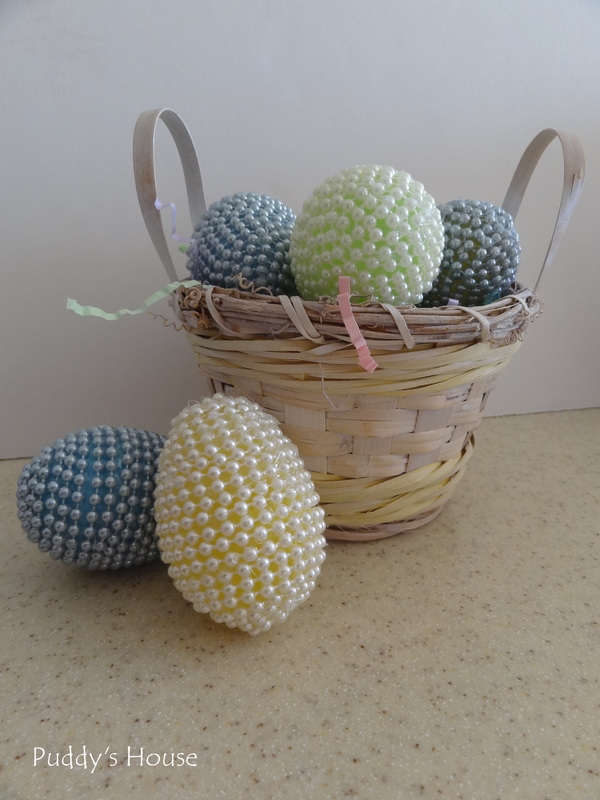 I tried different combinations of the eggs and beading. 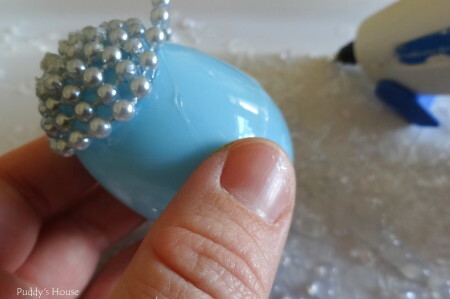 To finish it off, I just cut between the beads and pushed the final bead into the end of the egg. I love the final product. These were my favorite of all the eggs!! I tried them in a few different containers. I ended up loving them in the glass dish the most. 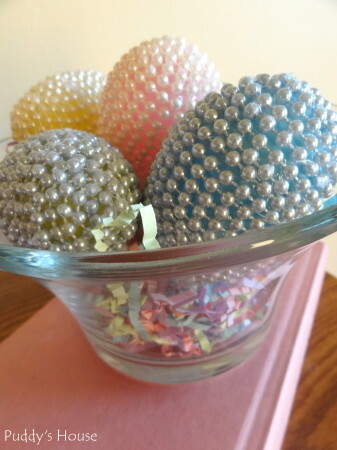 I’ll share all of my Easter decorations later this week so you can see what I did with the eggs. Did you make any Easter crafts? What a clever idea! 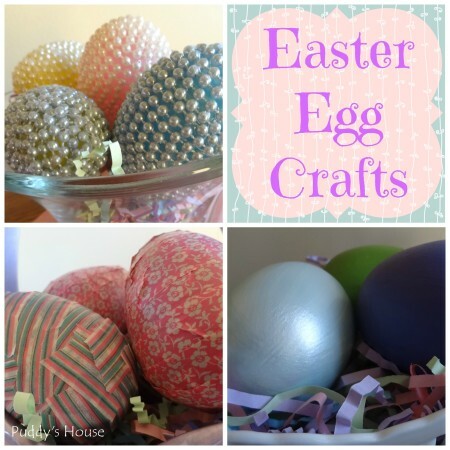 Your Easter eggs are adorable! These are so awesome! I am totally knocking those off next year! Thank you Kim!! I’d love for you to knock them off! !